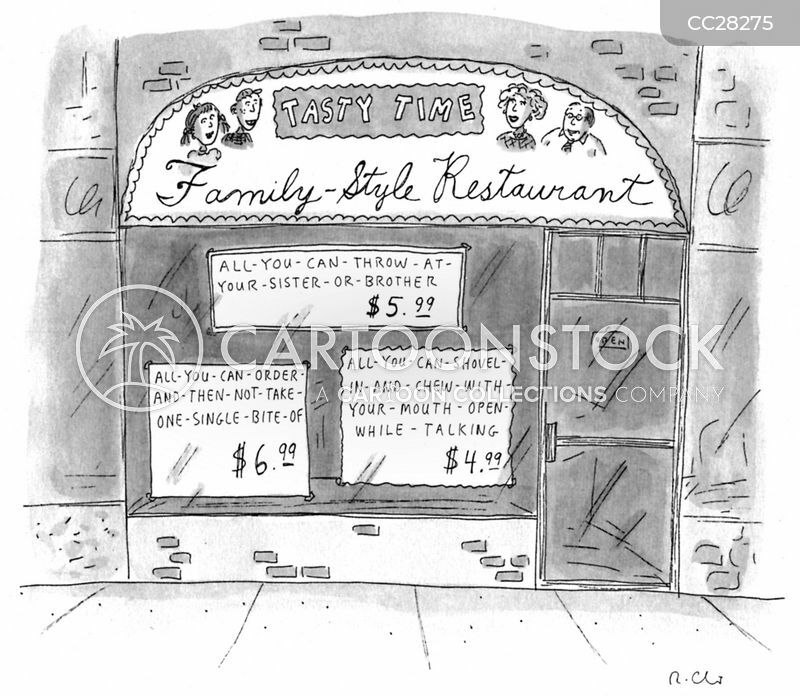 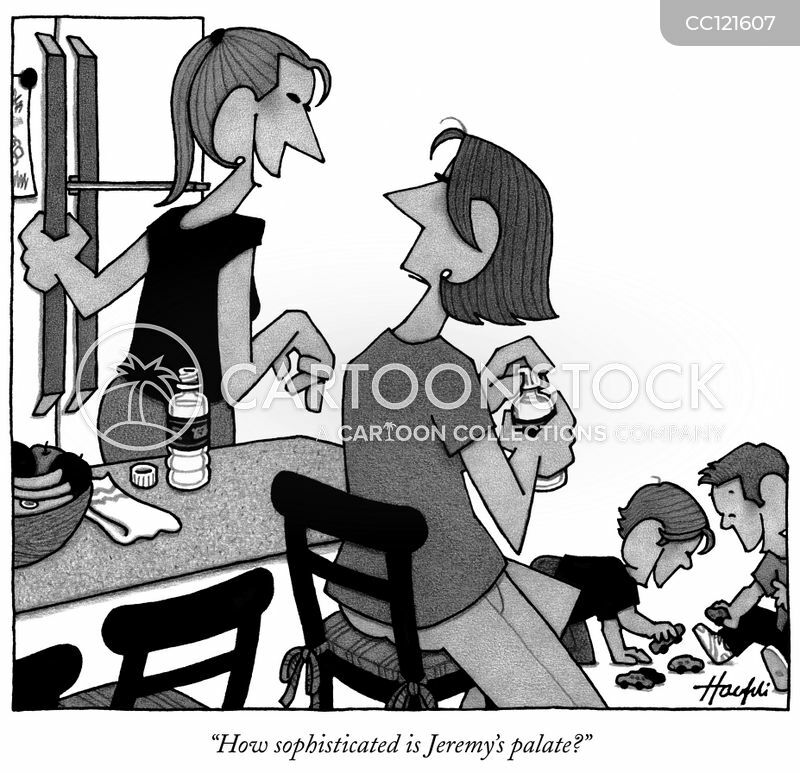 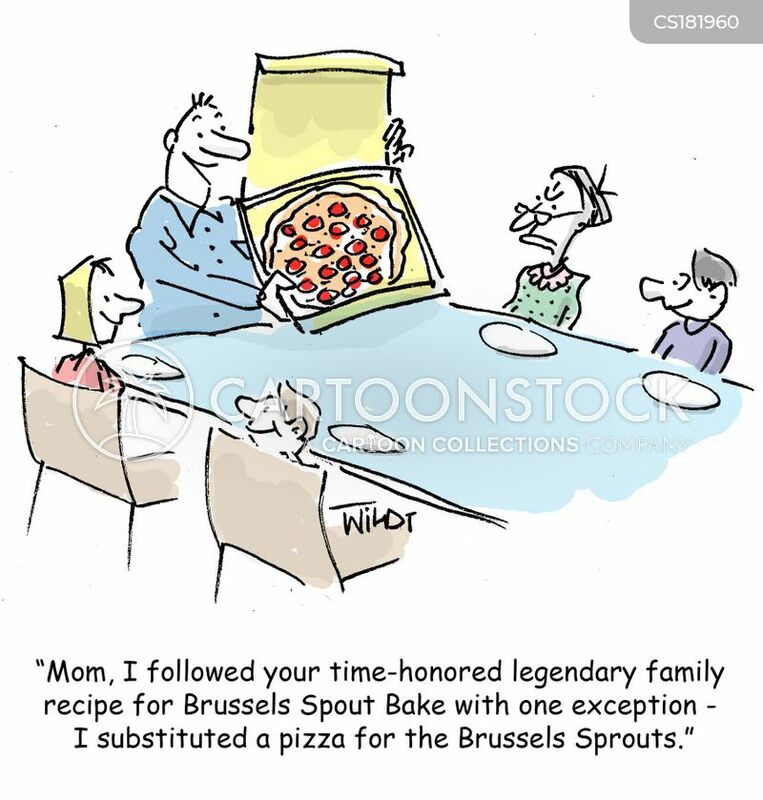 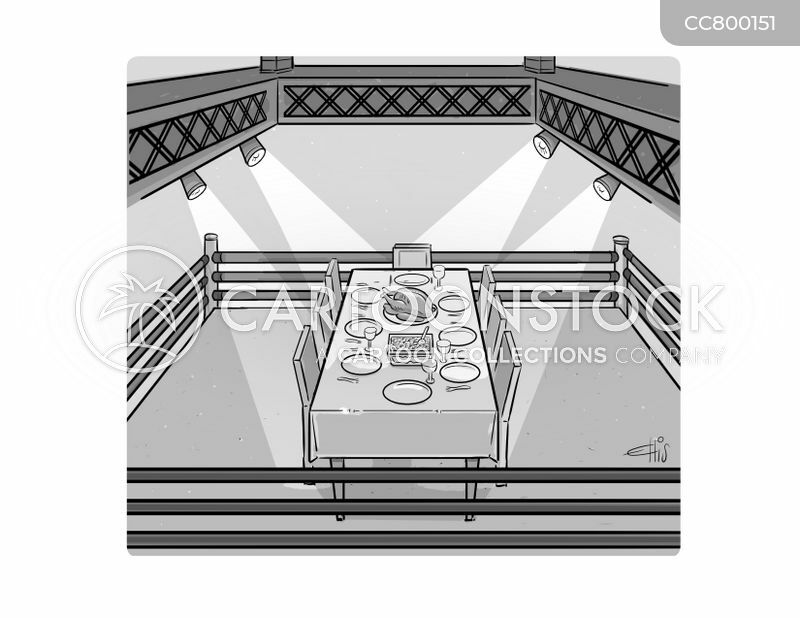 "How sophisticated is Jeremy's palate? 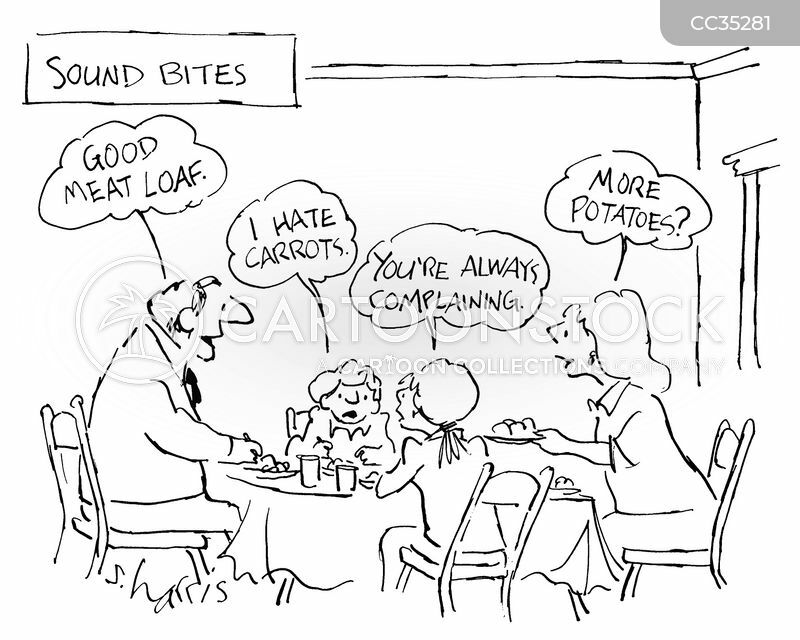 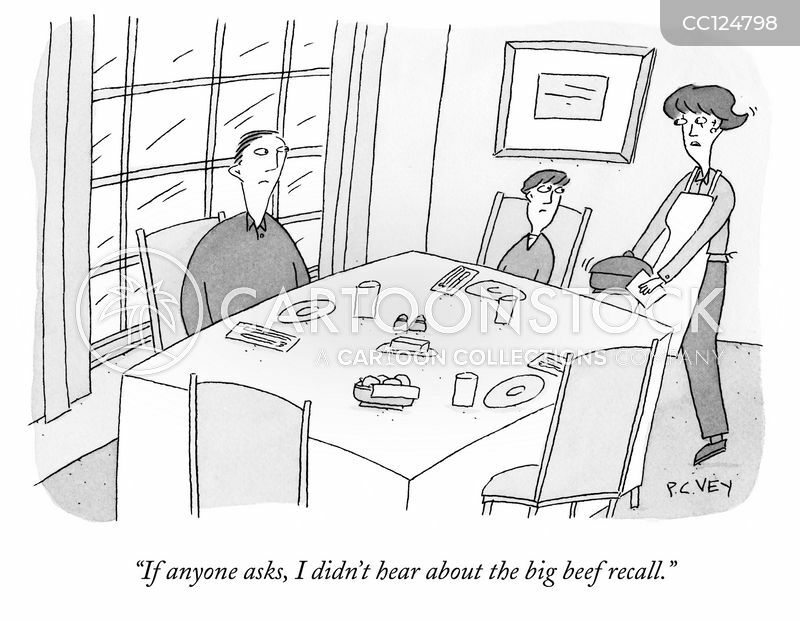 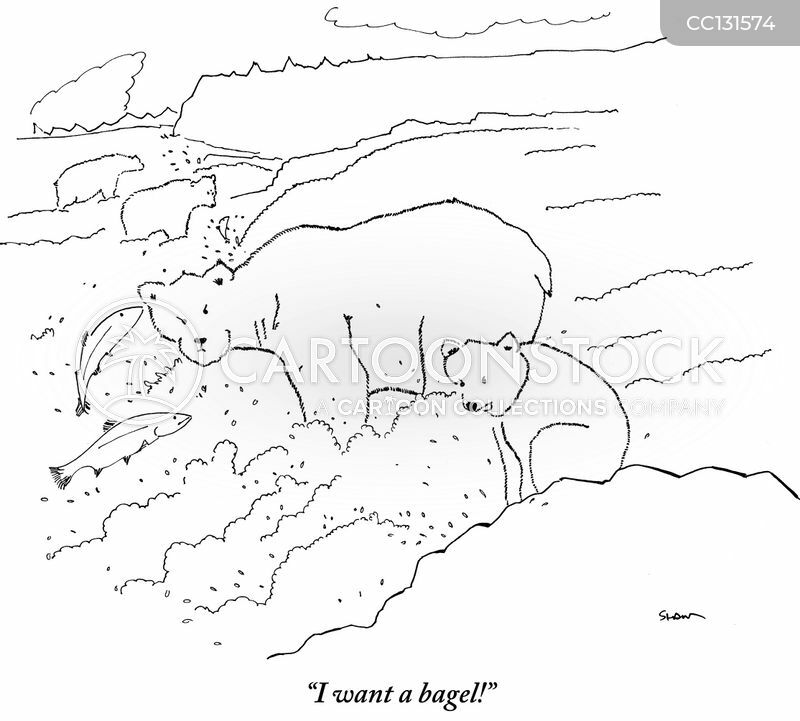 "If anyone asks, I didn't hear about the big beef recall." 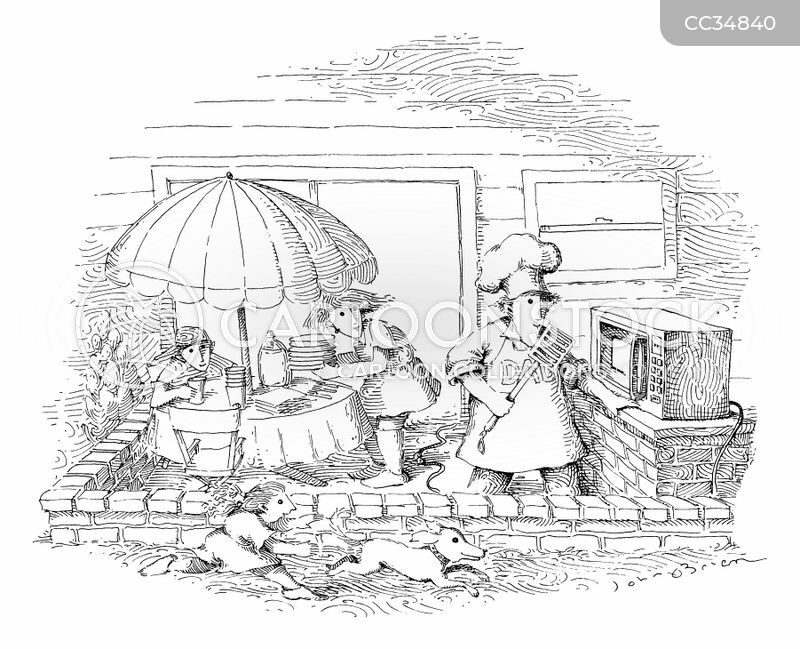 A family gets ready for their microwave meal on the patio. 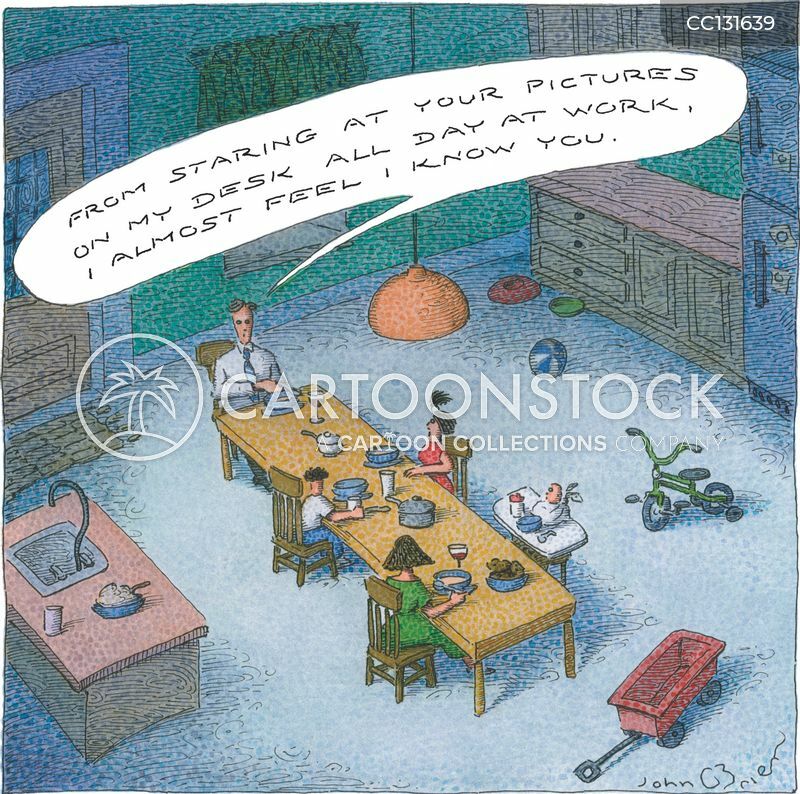 "From staring at your pictures on my desk all day at work, I almost feel I know you." 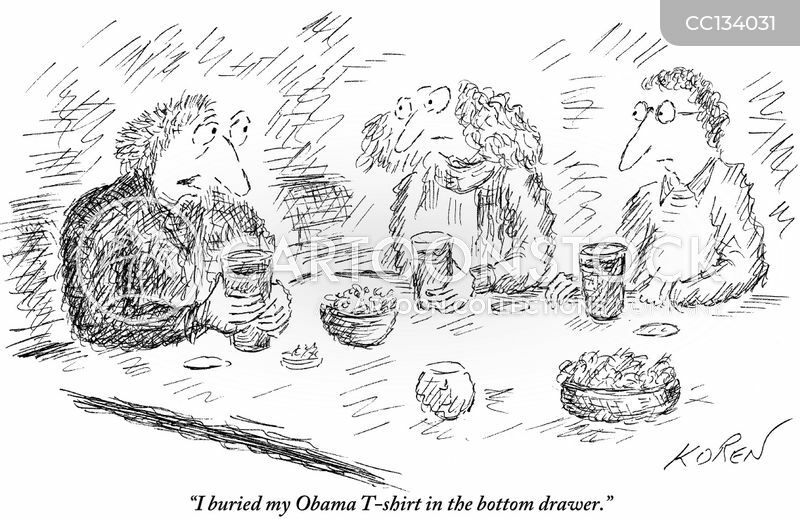 "I buried my Obama T-shirt in the bottom drawer." 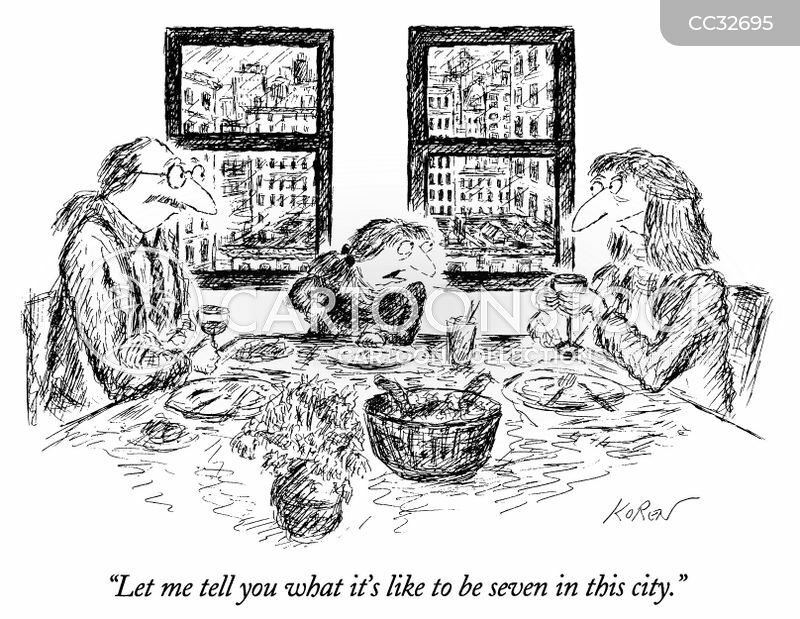 "Let me tell you what it's like to be seven in this city." 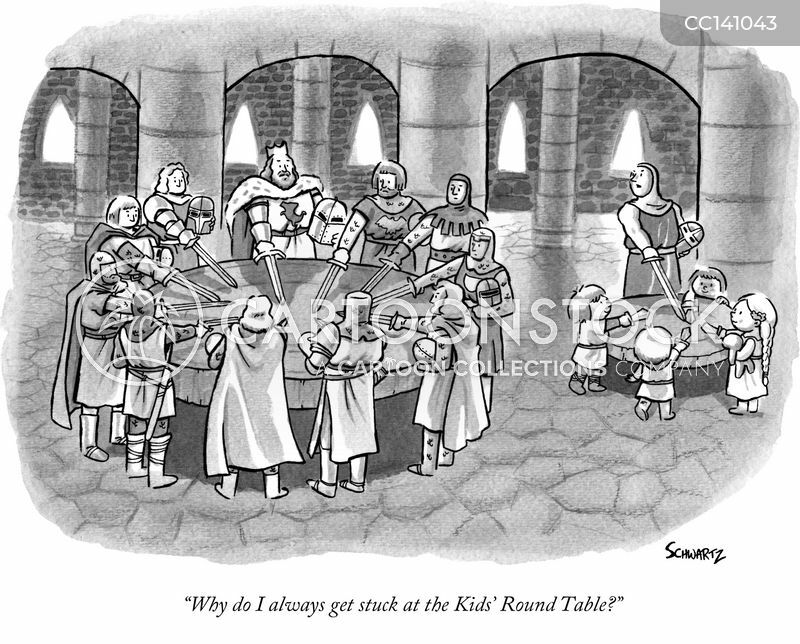 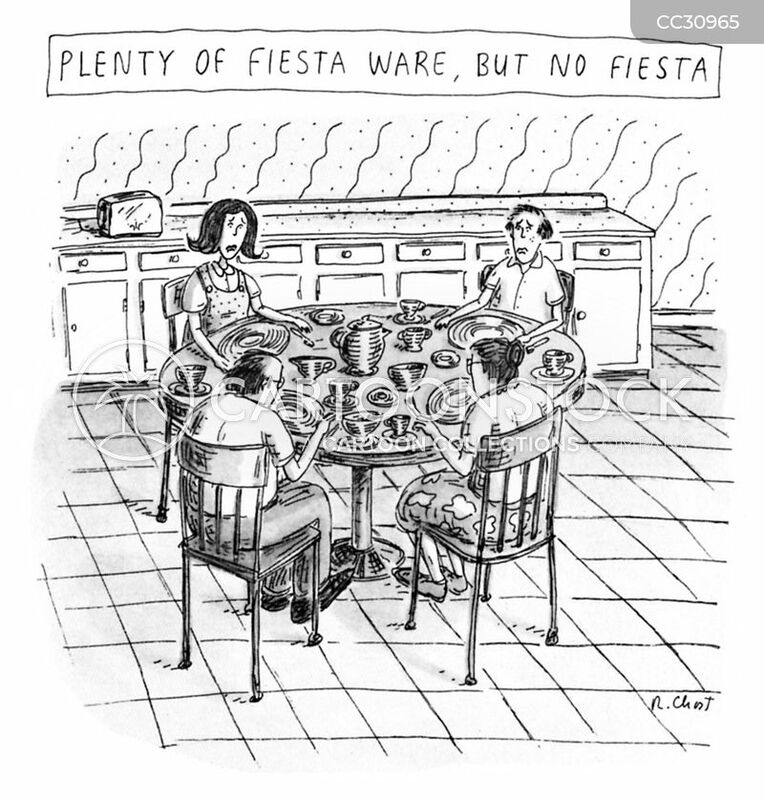 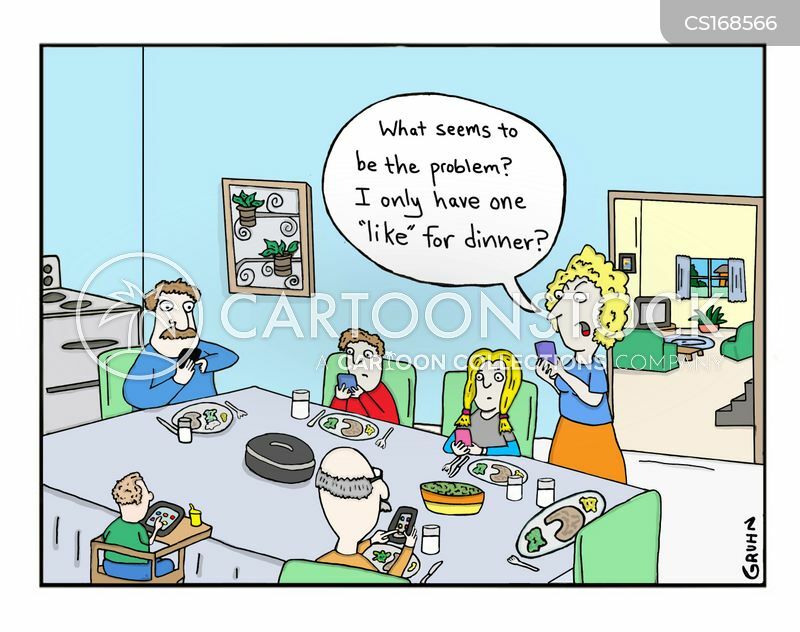 "Why do I always get stuck at the Kids' Round Table?" 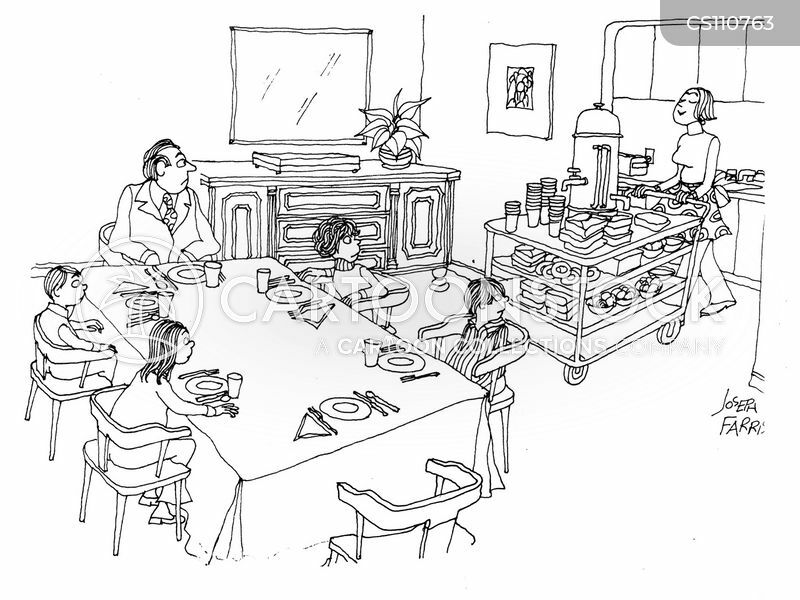 "I don't know, sweetheart. 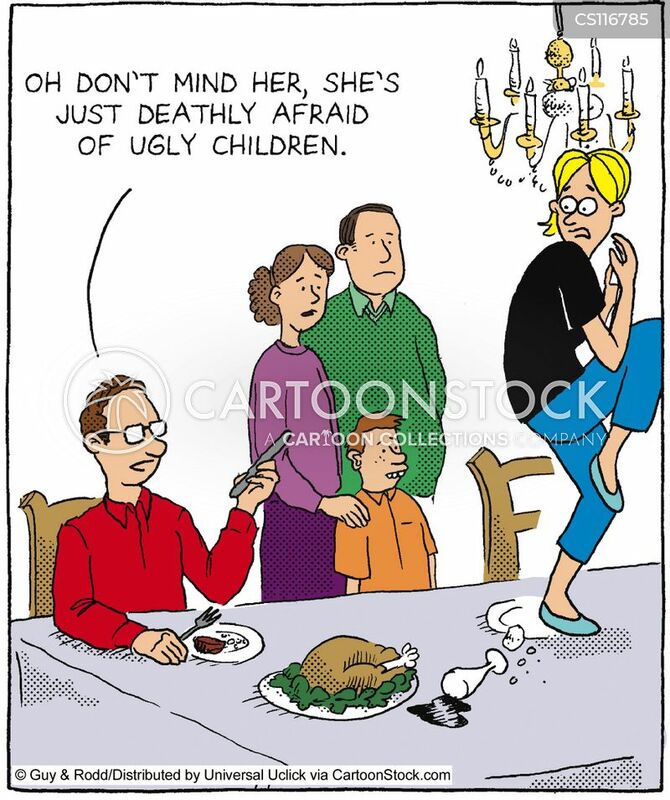 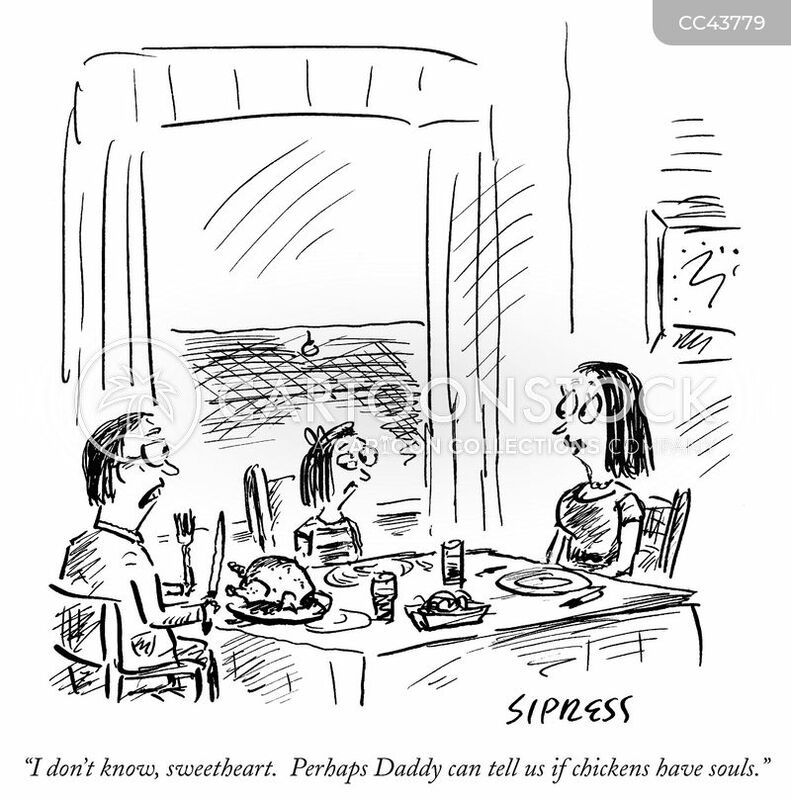 Perhaps Daddy can tell us if chickens have souls." 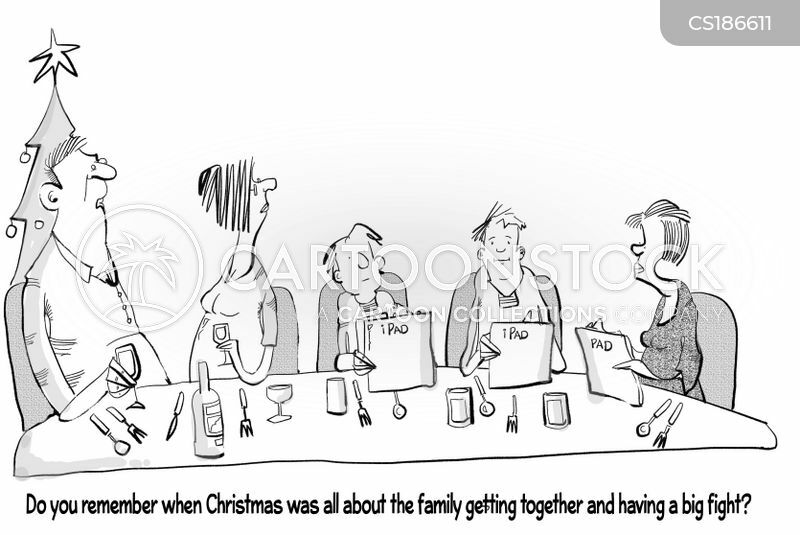 "Do you remember when Christmas was all about the family getting together and having a big fight?" 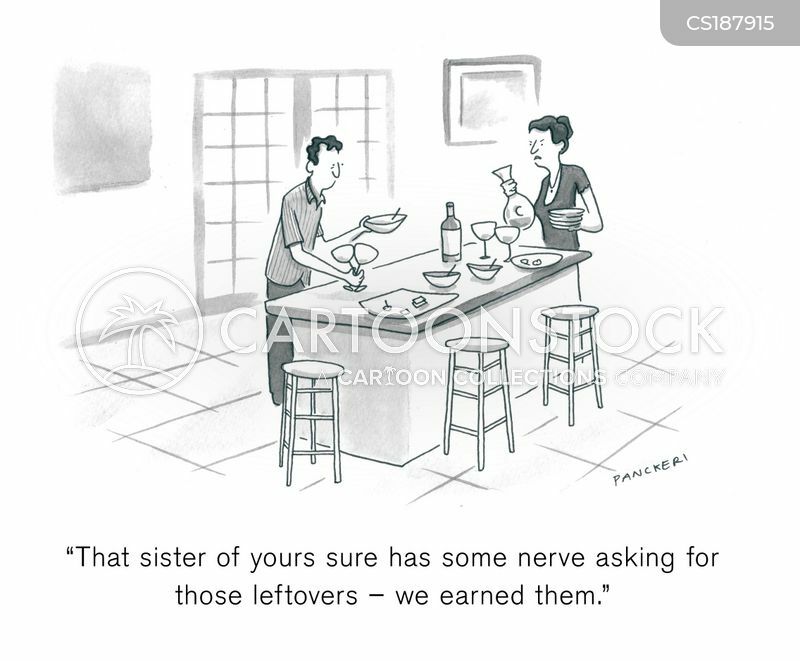 "That sister of yours sure has some nerve asking for those leftovers - we earned them." 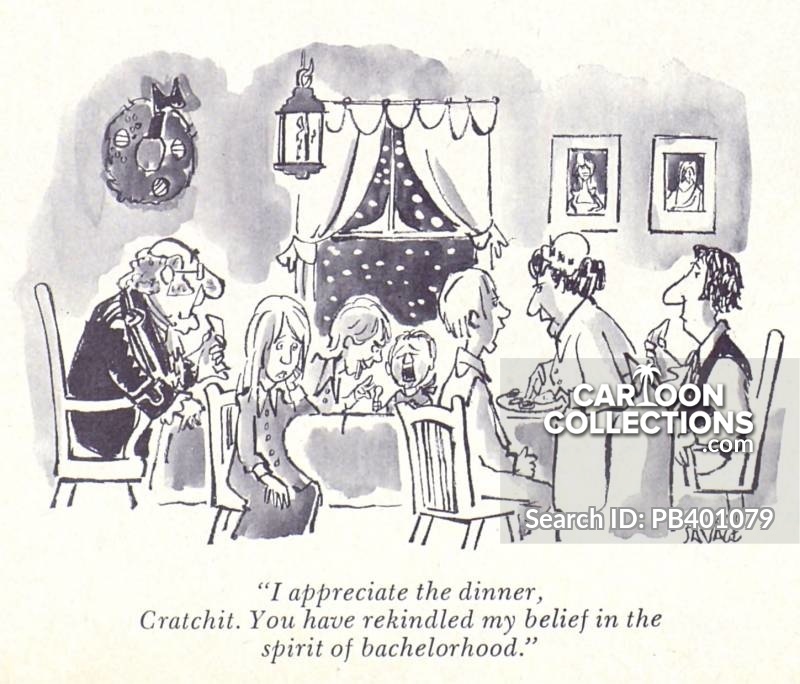 "You have rekindled my belief in the spirit of bachelorhood." 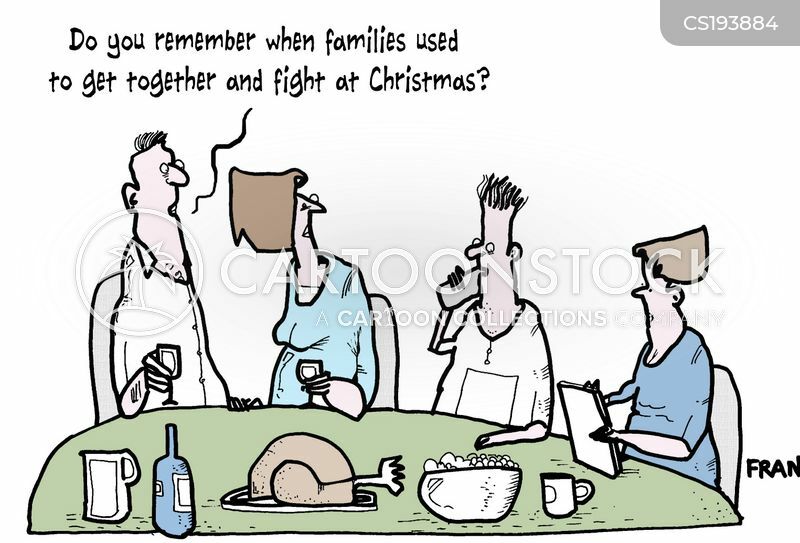 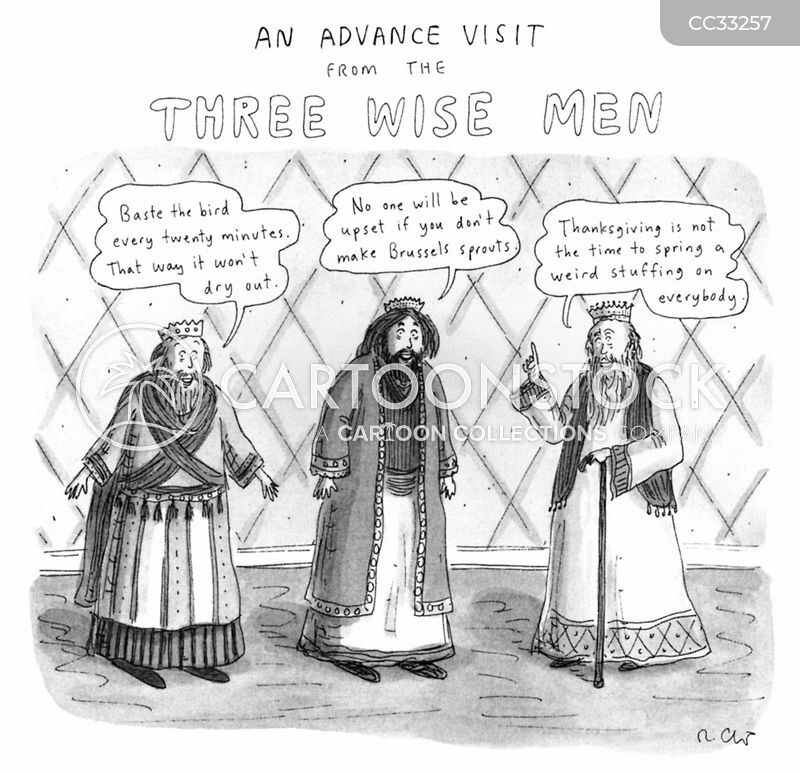 "Do you remember when families used to get together and fight at Christmas?" 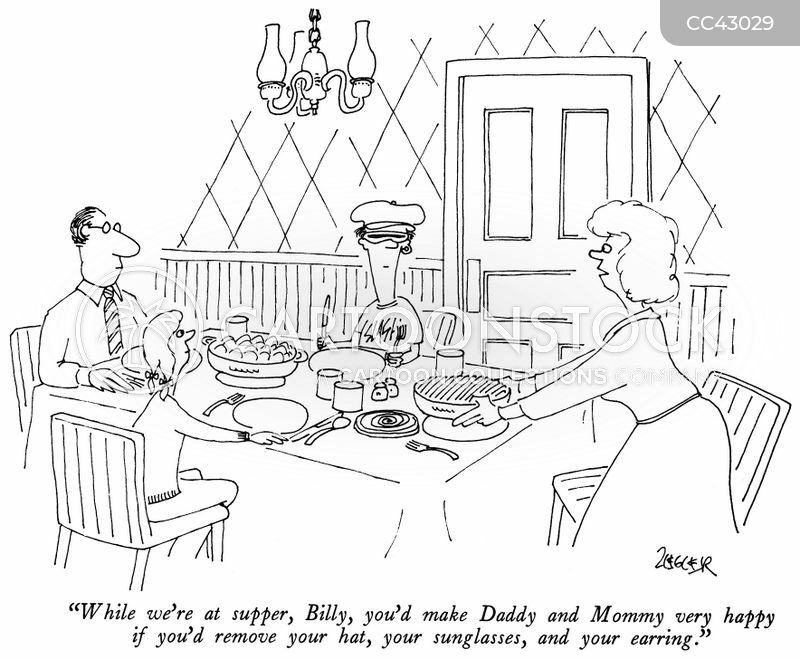 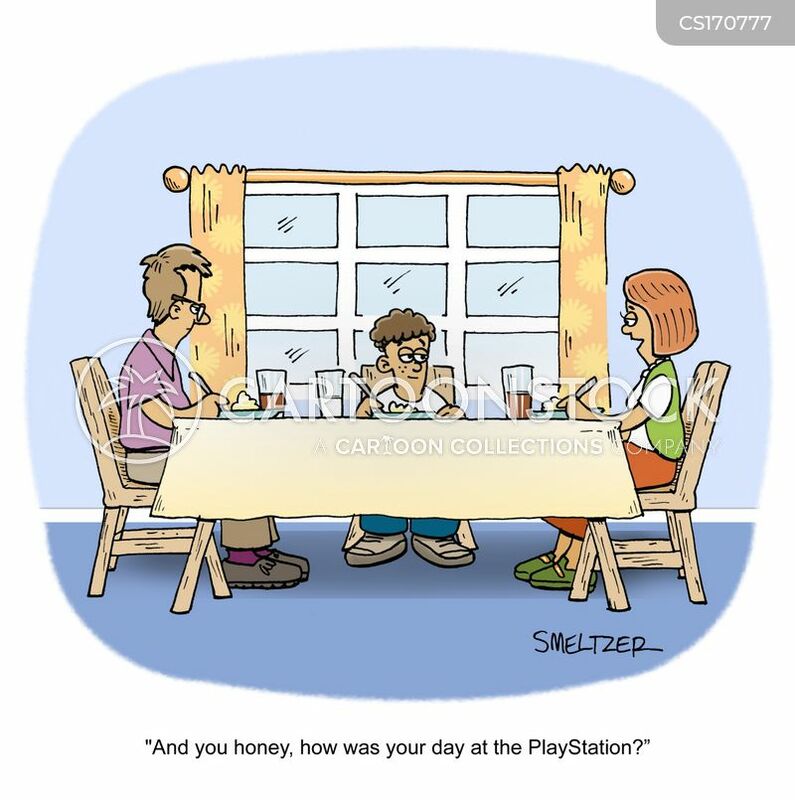 "While we're at supper, Billy, you'd make Daddy and Mommy very happy if you'd remove your hat, your sunglasses, and your earring."